Good Aussie sense of humour! Decided to check the security camera feed from work, on my phone... Mail man must be on his break. Shoes off, feet hangin out the window, and everything! 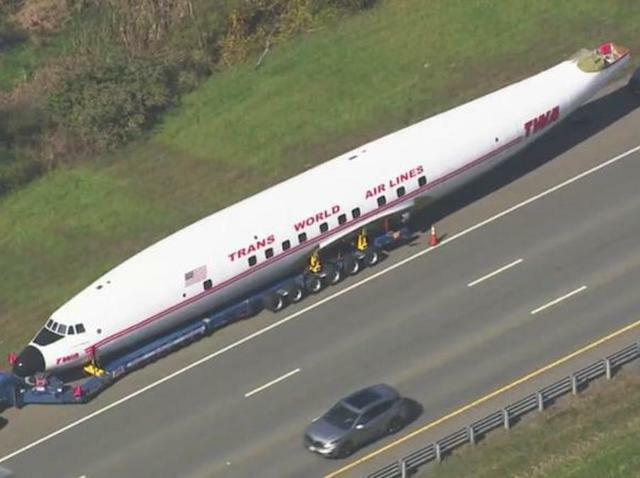 Drivers outside Boston along US interstate I-495 this week got a unique view of an iconic airplane that might very well belong in a museum. For a short amount of time on October 10, a truck convoy carrying the fuselage of a rare Lockheed Constellation L-1649A Starliner was pulled over along the side of the highway to fix a flat tire. Painted white and stenciled with a bright red "Trans World Air Lines" logo, the 60-year-old plane is heading to John F. Kennedy International Airport in New York, where it's expected to be converted into a one-of-a-kind bar and restaurant for the upcoming TWA Hotel. There was a time when you were more likely to see this kind of plane flying overhead instead of in pieces on trucks along the side of the road. In the 1950s, before the Jet Age of travel, the Lockheed's Constellation family of four-engine, propeller-driven airliners were the pinnacle of luxury for travel across the Atlantic and the US, from coast to coast. Who had the first SUV? A Beagle K-9 named "Hardy" was on duty at Atlanta’s Hartsfield-Jackson International Airport last Thursday when he sniffed out the two-pound pig's head in checked luggage. Agents seized the illicit BBQ and destroyed it, after allowing Hardy to pose for a photo with his trophy. (CNSNews.com) - On a typical day, U.S. Customs and Border Patrol agriculture specialists intercept all kinds of banned items coming into the country, but rarely something like this: A roasted pig's head found in the luggage of a traveler from Ecuador. Pork and pork products from other continents are among CBP's list of prohibited items, in this case, to prevent the introduction of swine-borne diseases. A mechanic with the Belgian air force was servicing an aircraft when he accidentally opened fire on another F-16 jet fighter sitting on the tarmac, destroying it, local media reported this week. The incident occurred on Belgium’s Florennes air force base Thursday, according to multiple media reports. 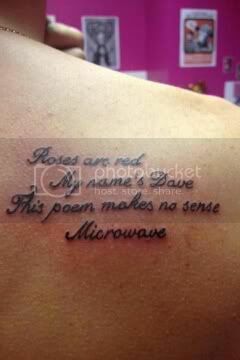 and the sign isn't even flashing HOT NOW! Notice all evidence confiscated and checked for taste? Pets are getting roped into Halloween madness whether they like it or not, as more consumers are shelling out ever-climbing sums to costume their beloved animals. More than 30 million people will spend an estimated $480 million treating their pets to costumes this Halloween, more than double the $220 million spend on pet Halloween costumes in 2010 when the National Retail Federation began tracking pet costumes. A headline you'd only see in Australia! A pilot landed a plane with a rather bumpy landing. As part of his job he was required to stand by the terminal door and say goodbye to the passengers as they exited the airplane. He was afraid that someone might say something about his rather less than perfect landing. WESLEY CHAPEL, Fla. (WFLA) - Pasco deputies had a little fun with a Wesley Chapel man after they saw him dressed like Fred Flintstone while driving a souped-up Smart Car that looked like the Flintmobile... and it wasn't even Halloween. Pasco County Sheriff’s Office Deputy H. Echevarria pretended to pull over Mr. Fred Flintstone, AKA Don Swartz, for speeding in the Meadow Bedrock Pointe Subdivision. Authorities say, with tongue firmly in cheek, that after he was cited for speeding, he "became unruly and had to be detained." “After further investigation, Mr. Flintstone was issued a Notice To Appear and released. Deputy Echevarria then seized the vehicle which is now part of the PCSO fleet. This is what Intelligence-Led Policing looked like in the stone age. A very special thank you to Mr. and Mrs. Don and Trina Swartz for being such great sports... Yabba Dabba Doo!” wrote the Pasco County Sheriff’s Office on its Facebook page. BUFFALO, N.Y. — When a man's car was damaged in an alleged hit-and-run accident, it was a note from a sixth grader who helped him find who was responsible. According to Andrew Sipowicz, he received an anonymous note on his car from a student at Houghton Academy explaining that she had been aboard a bus that had damaged his car in an accident. The bus driver then fled the scene. Sipowicz shared the note alongside two pictures on his Twitter feed with the caption: "Shoutout to the anonymous 6th grader for saving me a couple thousand (Bus not drawn to scale)." As of early Wednesday afternoon, Sipowicz's tweet has been liked more than half a million times and retweeted more than 100,000 times. He later noted on Twitter that he had found the girl who wrote the letter and was "in the process of finding a way to reward her for her actions." A copy of the young student's note can be read below. If you wondering what happen to your car. She also included a drawing of the bus that hit the car. Vice Principal Kevin Garcia of Houghton Academy said the school will be "celebrating her outstanding leadership" and presenting her with a citizenship award in the upcoming weeks. The student's teacher also took to Twitter to share his congrats. According to Sipowicz, a representative from the company that operates the bus, First Student, contacted him to take a report of the incident.